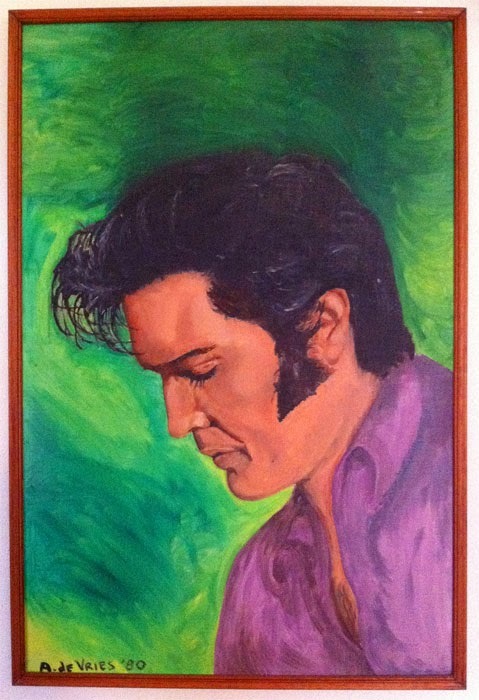 A while ago I wrote that I was going to make a new version of a Elvis portrait I painted in 1980. You can read it here. 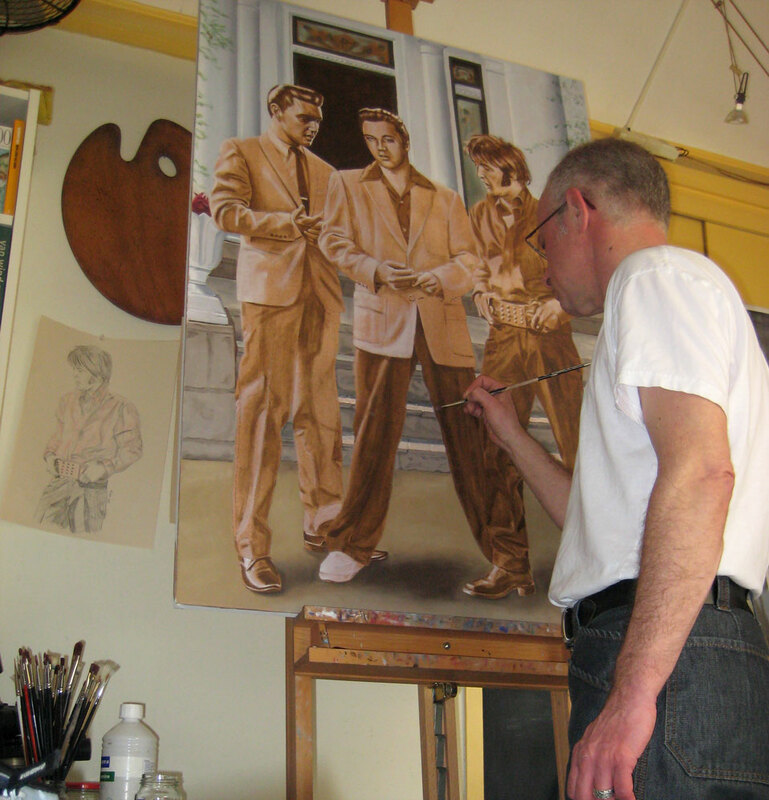 The new painting is on the easel now for quite some time, the under painting is finished now it’s time to put on some color. I’m planning on finishing it this month. 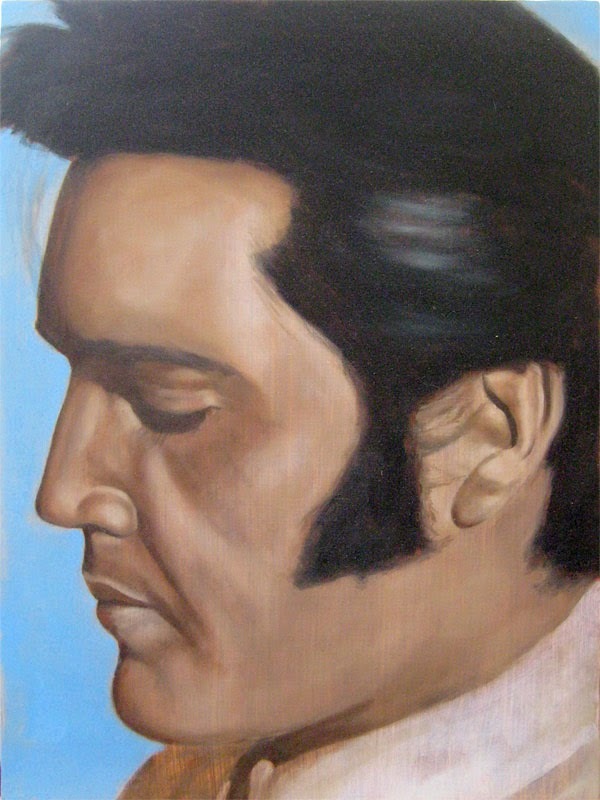 First I need to finish some commissioned Elvis drawings.